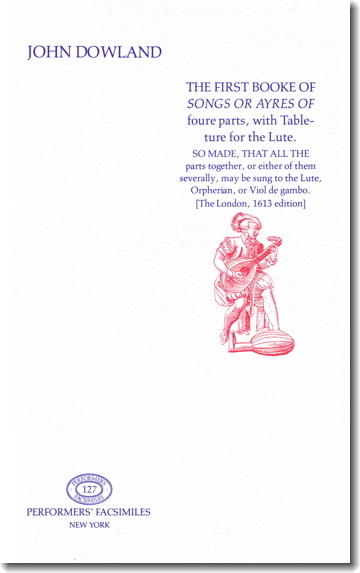 The First Booke of Songs or Ayres of Foure Parts, with Tableture for the Lute. New York, . 24 x 35 cm, 47 pp. 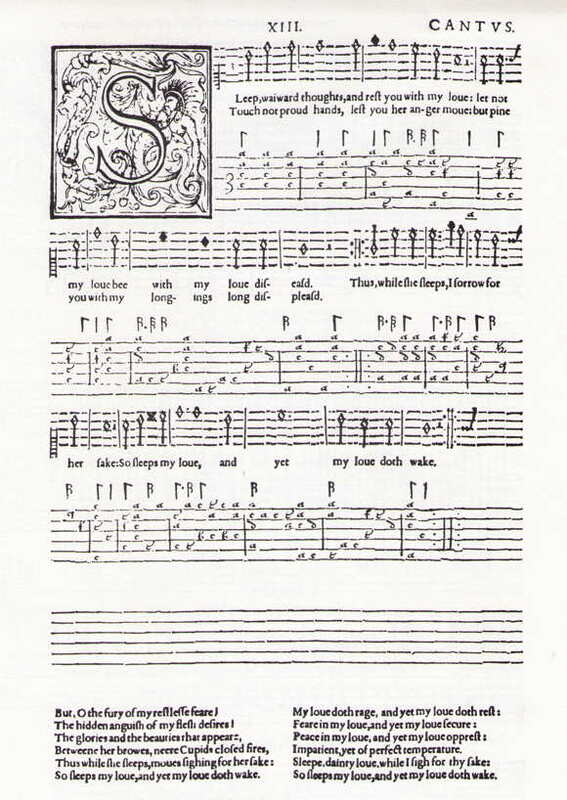 The Second Booke of Songs or Ayres of Foure Parts, with Tableture for the Lute. [Folger Shakespeare Library, Washington, D.C.].
. 24 x 35 cm, 49 pp. The Third and Last Booke of Songs or Aires. [Folger Shakespeare Library, Washington, D.C.]. Broude Brothers Limited: New York, . 24 x 35 cm, 47 pp. New York, . 22 x 33 cm, 49 pp.